Both calcium and magnesium are critical for strong bones, however; the average person's intake of these minerals is imbalanced. 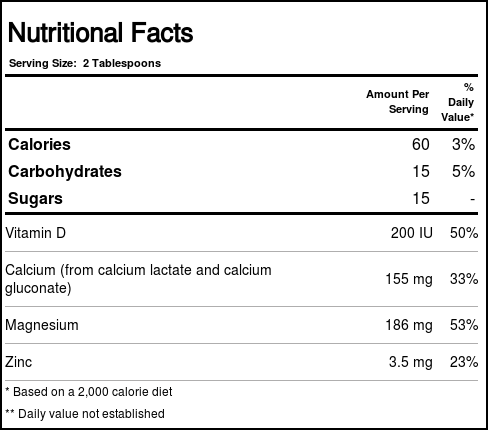 The ratio of calcium consumption far outweighs that of magnesium consumption, which affects their subsequent absorption and utilization and sets the stage for weak bones and over-calcification of the body. New studies are showing us that the best way to maintain the health of our bones is not through increased calcium intake alone, but rather through the regular use of a balanced calcium magnesium supplement that effectively addresses the many complicated issues that prevent the adequate absorption and proper utilization of calcium. One like Floradix Liquid Calcium Magnesium w/Zinc. 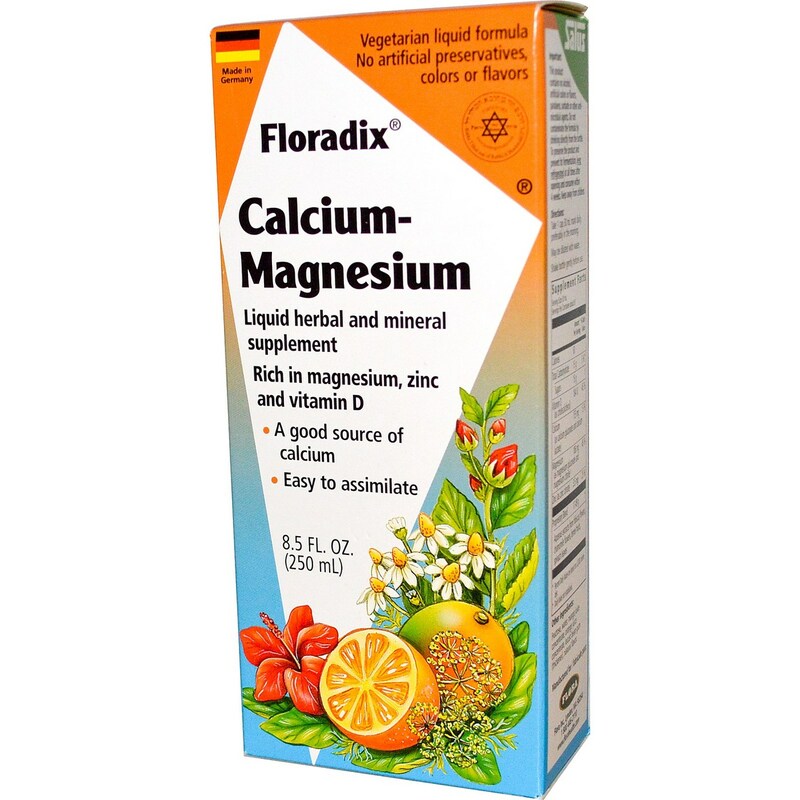 Floradix Liquid Calcium Magnesium w/Zinc is a smart choice for any adult concerned with improving or maintaining their bone health. Specially formulated to be effective in all areas of calcium absorption and utilization, Floradix Liquid Calcium Magnesium w/Zinc safely and effectively maintains bone health over a lifetime. 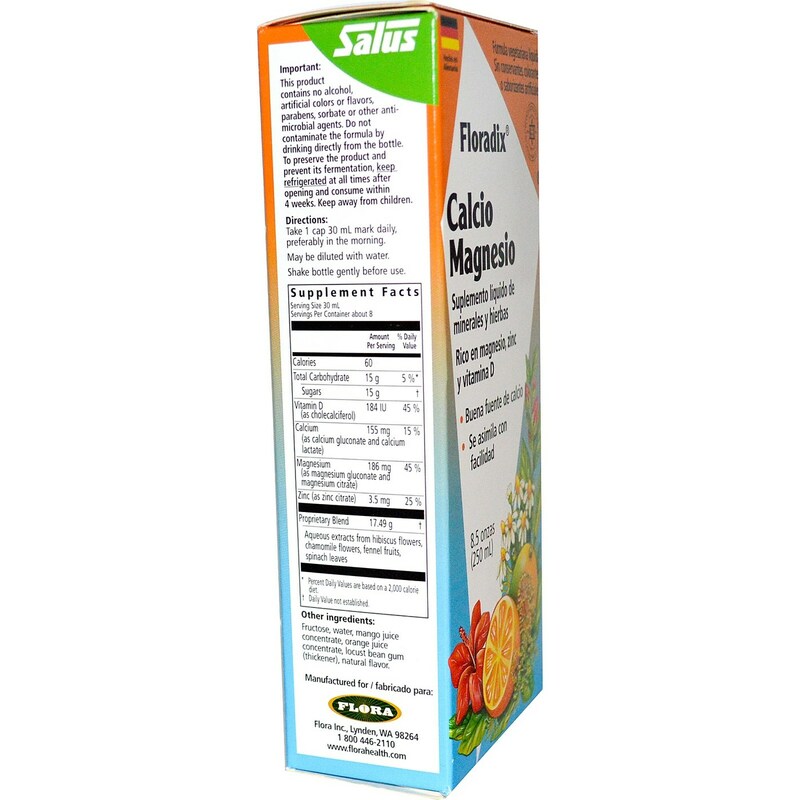 Notas: A delicious magnesium/calcium concentrate with 186 mg magnesium and 155 mg calcium per serving. This delicious drink also contains 3.5 mg of Zinc. Recomendações de uso: For prolonged use as food supplement, take 2 measuring capful (about 30 ml) daily, preferably in the morning. May be diluted with water.